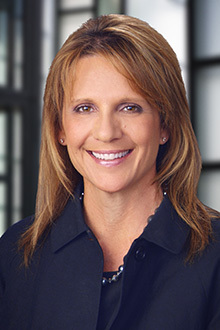 Kim Wells is a partner in the Sacramento office of Lewis Brisbois and a member of the Healthcare Practice. Ms. Wells’ practice is focused primarily in complex civil litigation, particularly in the area of professional negligence, with an emphasis on elder law. She represents healthcare providers, including skilled nursing facilities, assisted living facilities and continuing care communities in civil, regulatory and administrative forums. She has defended against allegations of elder/dependent adult abuse and neglect, medical negligence, negligence, medical staff issues, wrongful death, violation of patient rights, fraud, and breach of contract. Ms. Wells also counsels and defends skilled nursing facilities in the appeal of citations and deficiencies issued by the California Department of Public Health and the federal Centers for Medicare and Medicaid Services. Ms. Wells’ practice also includes employee in-service and training on issues related to elder care litigation. In addition to her elder law practice, Ms. Wells has litigated a variety of matters in the areas of employment law, construction defect, premises liability, and general insurance defense.